Don't you love those simple home improvement projects that turn into a complete gut job and remodel??? 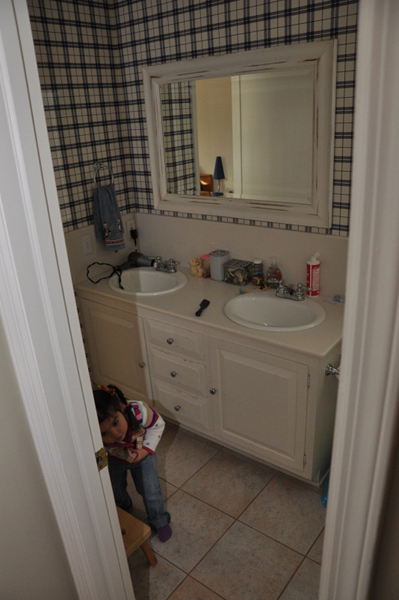 (please note massive sarcasm in my typing...) I don't either, but that was the story behind our main bathroom reno. Even though this was an unplanned effort, the resulting space is beautiful and well worth all of the time and energy spent to make it happen. 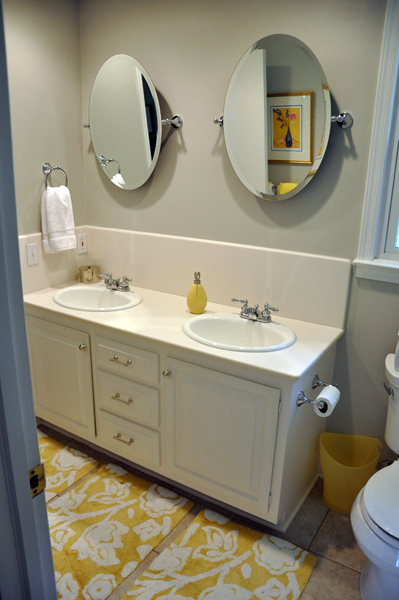 In the 'before' photos, you'll notice MANY elements of this bathroom that need to be tackled. But for starters, I focused on the really bad caulking job in the shower area (definitely screamed, "home-owner-DIY-effort"). I found a local professional that could tackle this project for cheap, so I decided to move forward with this as our first 'to-do' in the bathroom. As soon as the contractor removed the thick caulking for the first row of tiles, about 13 tiles fell off the wall into the bathtub and broke into multiple pieces. Aaargh...things are not going to plan. But...after taking a longer look around, I realized that the 80's shower faucet and drop ceiling over the shower area really should be addressed, if we were re-doing the shower tile. 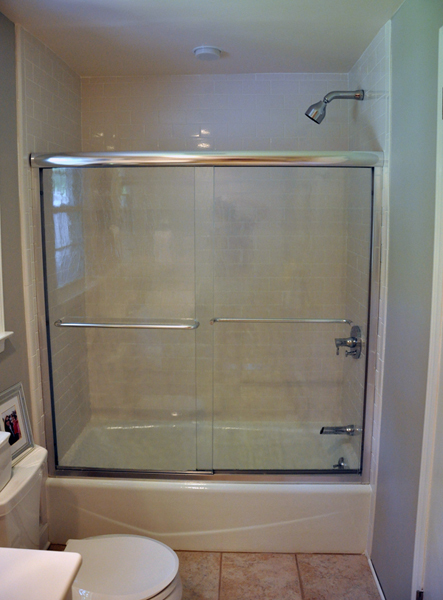 Notice the drop-ceiling in the shower area...that needed to go! 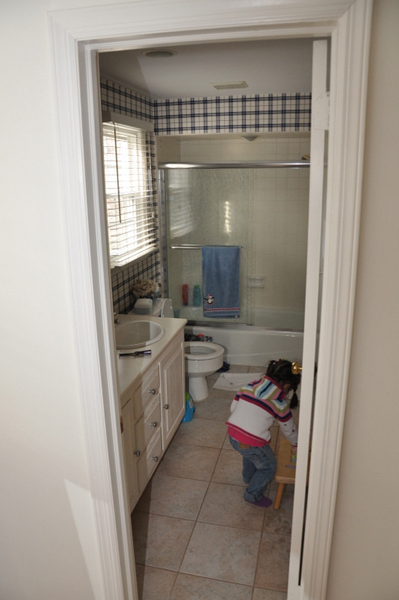 During the process of removing the drop-ceiling over the shower, I started peeling away at the horrible plaid wallpaper. Hmmm...might as well add this to the list, too, while we're at it. And, as long as we have the plumber here to replace the fixture in the shower, that toilet is REALLY old and needs to be replaced. 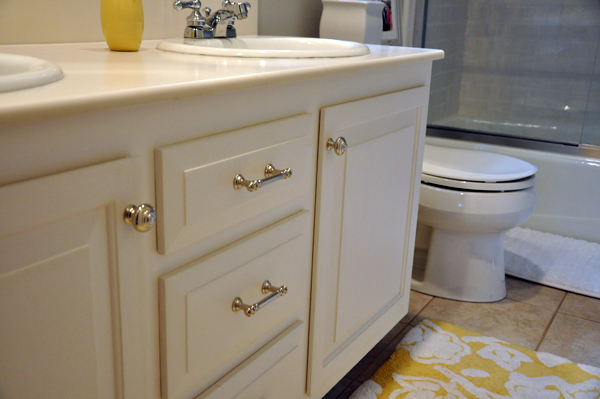 You get the picture...this one-time simple quick fix has really snow-balled into a massive overhaul. 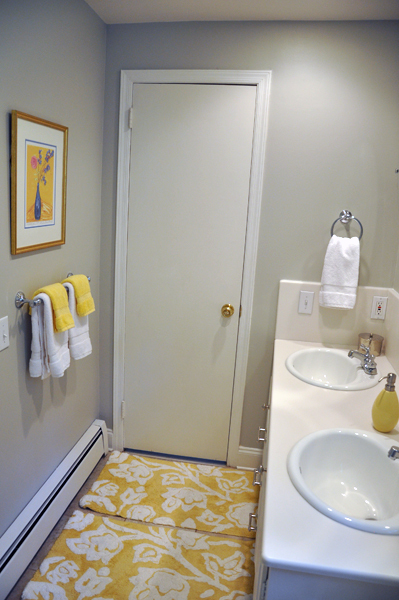 Drum roll, please...I introduce you to our mostly new and hugely improved bathroom! I LOVE the finished product. To this day, every moment I spend in the updated space makes me happy we tackled as much as we did, even though 98% of it was unplanned.